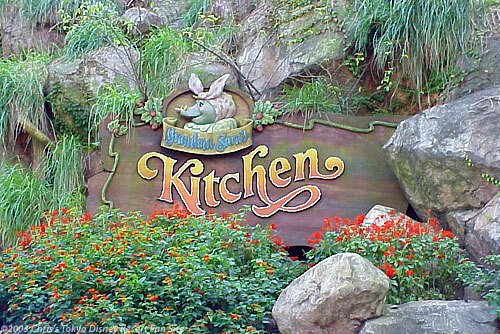 Grandma Sara's Kitchen is a counter-service restaurant, and is another example Critter Country's beautiful theming. Menu selections include such "home style" items as beef stew, grilled herb chicken, scallops and shrimp au gratin, chopped steak, and more. The food is quite tasty, although the portions are small compared to Western standards (which is the case in most restaurants in Japan). There's lots of seating here, most of it indoors.